The home you've been waiting for! 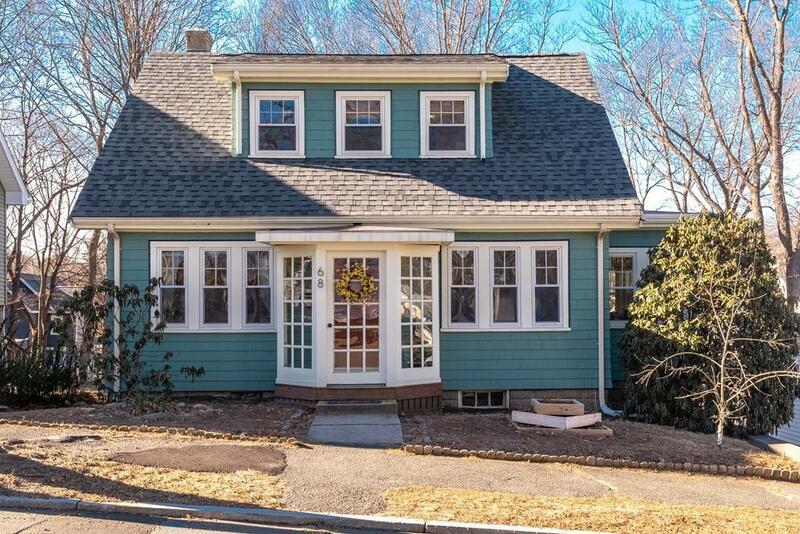 This sun filled updated Cape is highlighted by lovely fir and oak hardwood floors throughout. A versatile first floor layout features an open concept kitchen / dining room with breakfast bar, maple cabinets, new quartz countertops, and direct access to the deck for summer barbecues while overlooking the expansive backyard. A living room, sun filled office, bedroom and full bath complete the 1st floor. An attractive staircase leads to the second floor which offers two additional bedrooms with deep closets and a half bath. The lower level includes a laundry, a substantial workbench area, and lots of room for storage - or future finished space. Convenient access from the walkout basement to the backyard to enjoy outside activities, gardening or relaxing around the fire pit. This is the perfect starter home! New roof, 2015. Easy Commute: 3/10 mile to the bus stop that will take you to Oak Grove Orange Line or the Commuter Rail.